Not only are our students smart – they are also extremely enterprising. 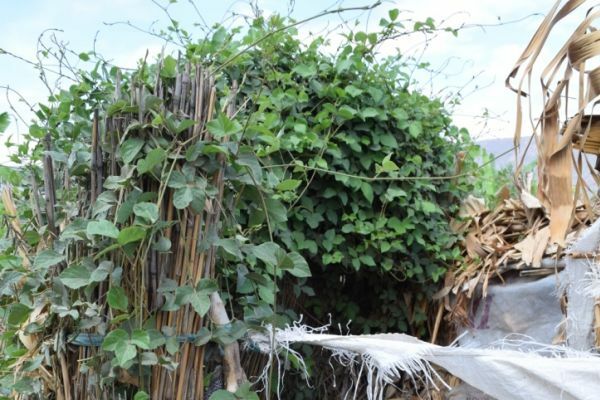 Amina has built her own composting toilet, which has helped grow vegetables to feed her family. Toilets in rural Africa are usually a small hole in the ground surrounded by a grass hut. When they are full, they are simply abandoned and another pit is dug. Hygiene and disease can be a problem, as well as the added issue of falling into the hole, especially at night. Amina took inspiration from the composting toilets at school made by Red Sweater Project Board member and volunteer engineer Ada Banasik. Two years ago, Amina dug a four-meter deep hole in her backyard with the help of her two eldest brothers. The 19-year-old then made a cement toilet basin and connected the two with a pipe. The human waste mixes with ash, soil, leaves and water to become fertilizer. Each year, Amina takes the waste and spreads it on the banana trees and vegetables inat the family farm. She explained: “Many people in this area don’t have proper toilets. It’s just a hole in the ground but people can get sick. Sometimes we get cholera, which can be spread by human waste. “The aim of making a toilet was to improve the hygiene at our home but also to help on the farm. I love growing vegetables, like greens and potatoes, but the soil in Mungere is very acidic. The vegetables struggled to grow. “I learned from [Timber Jim] Serrill, the MLS franchise’s original mascot, and other volunteers that you can change the pH of the soil by adding fertilizer. So now I use human waste to get more nutrients into my crops. 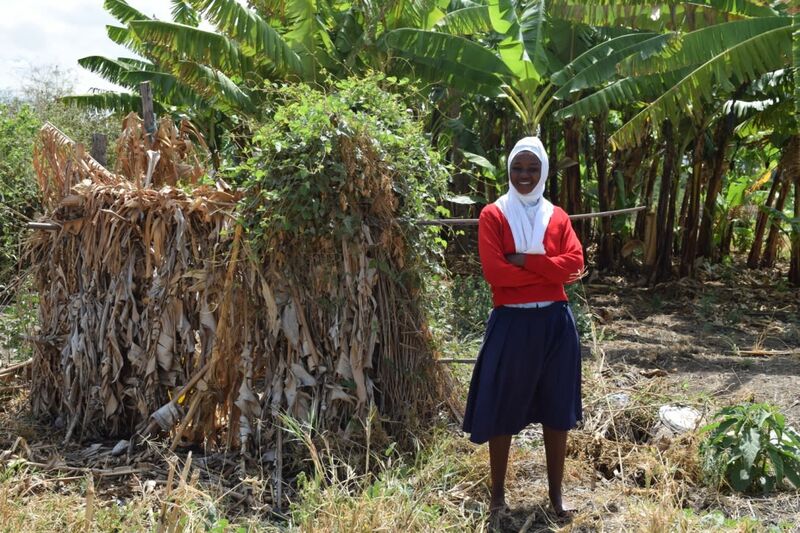 Amina has spoken about her desire to teach more people in the community about the toilets. 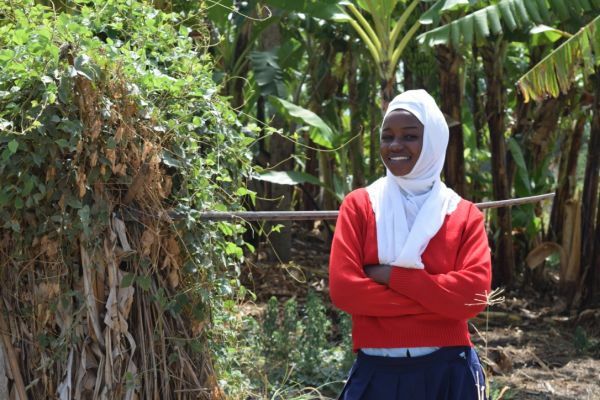 Having completed her Form IV exam, Amina will leave school this year and hopes to become either a lawyer or do community work.